Police in Madera, California, found an intoxicated man riding a little pink bicycle with training wheels early on Sunday morning. 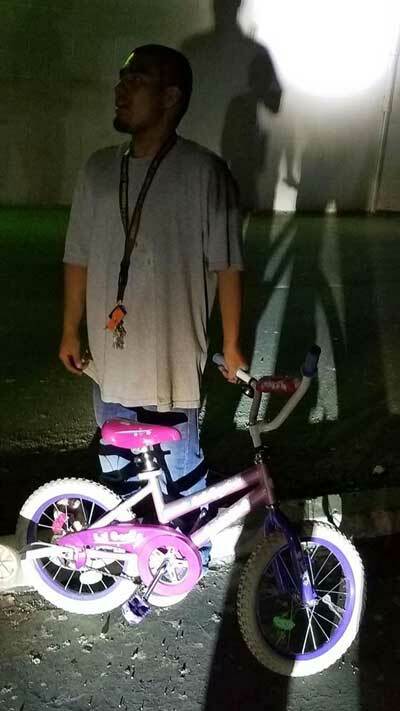 At around 1:40am two officers noticed found Mariano Miranda riding the bike, with no lights and on the wrong side of the road. 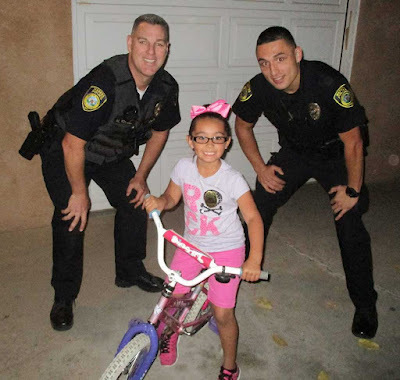 The officers found Miranda to be intoxicated. He told the officers he didn't know who the bike belonged to and he wasn't sure how he got hold of it. Madera police booked Miranda into jail for public intoxication. 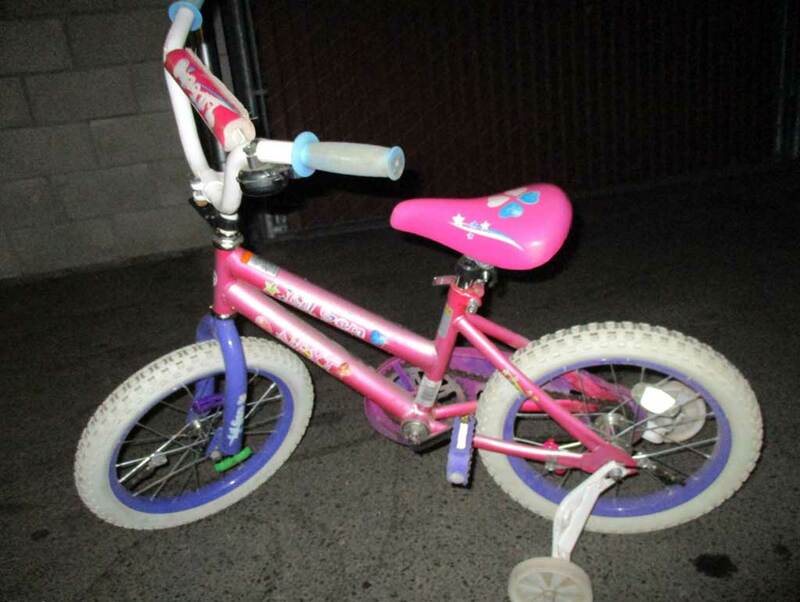 The bike was then taken in by police for safekeeping. Officers later received a message from the child's mother and Officer Powell along with Officer Martinez were able to reunite little Aubrey with her bicycle.